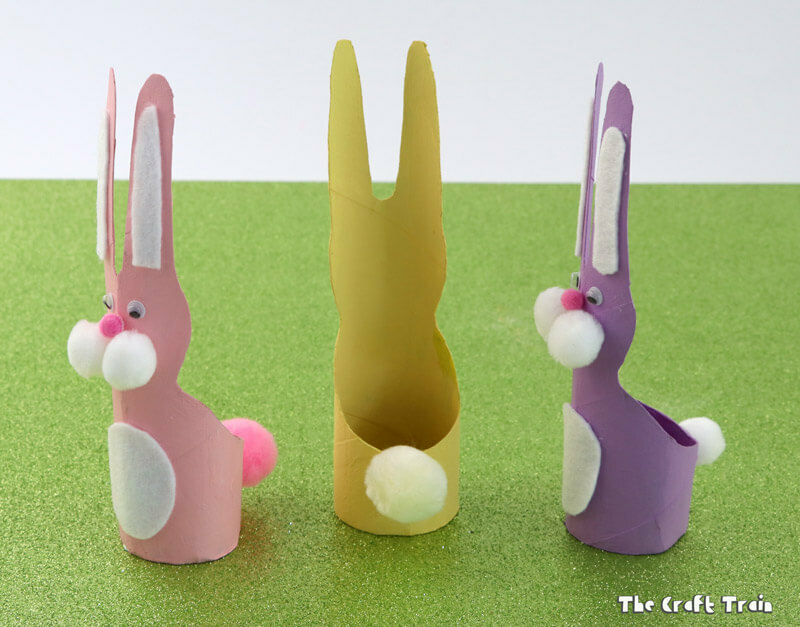 Make a cute Easter bunny craft from a paper roll. 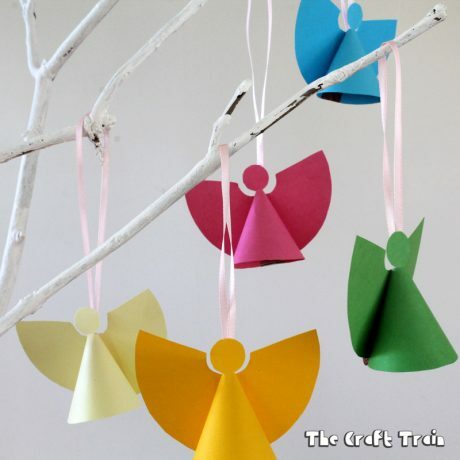 These little guys are simple to cut out using our free template, then all they need is a little paint and decorations. 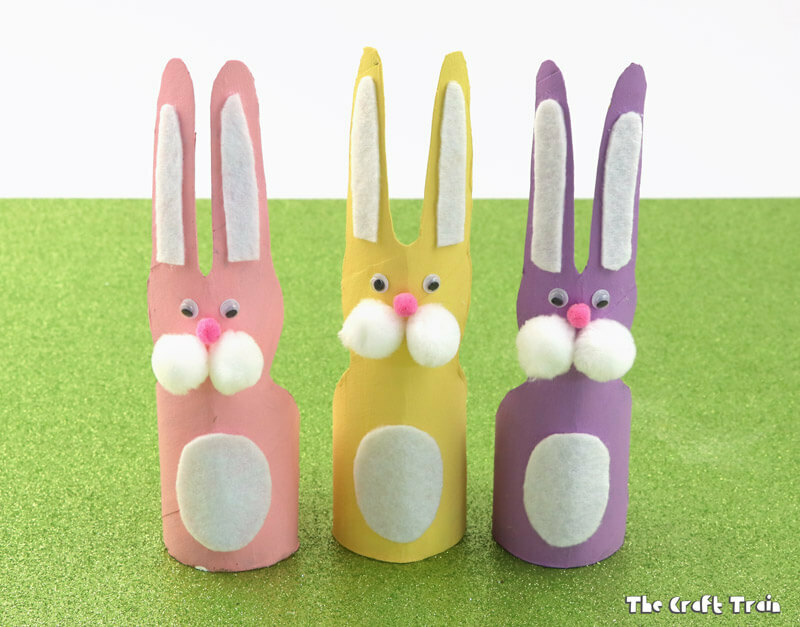 I love the soft pastel colours of Easter so I decided to paint our bunnies in pastel purple, yellow and pink. 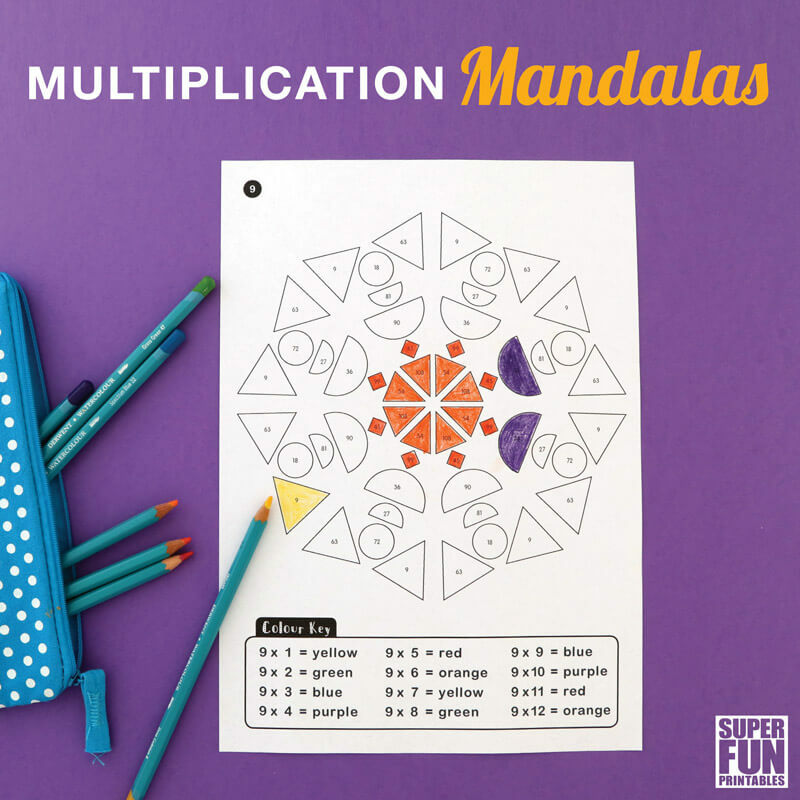 Of course, the sky is the limit and you can paint them any colour you like! 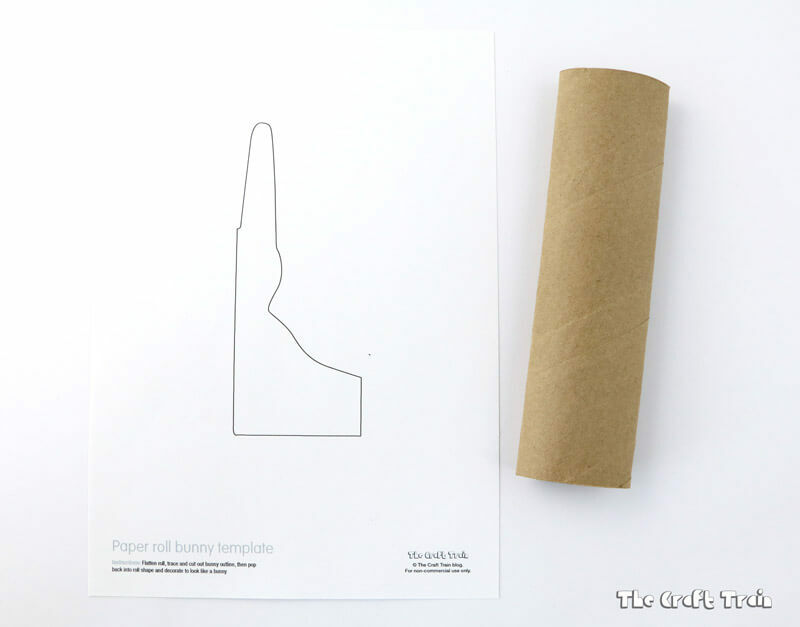 Print out the template, then cut out the shape. 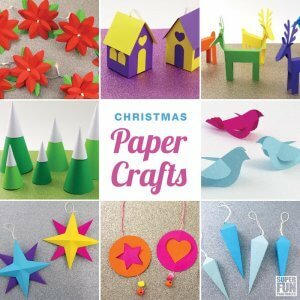 Flatten your paper roll lengthways. 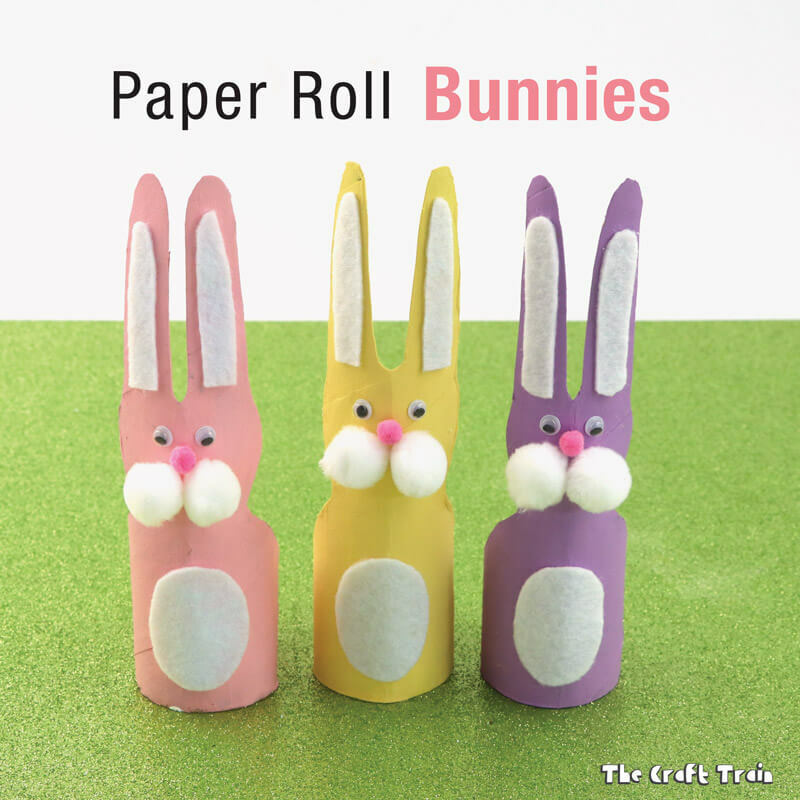 Trace the bunny shape onto the flattened roll and cut it out. 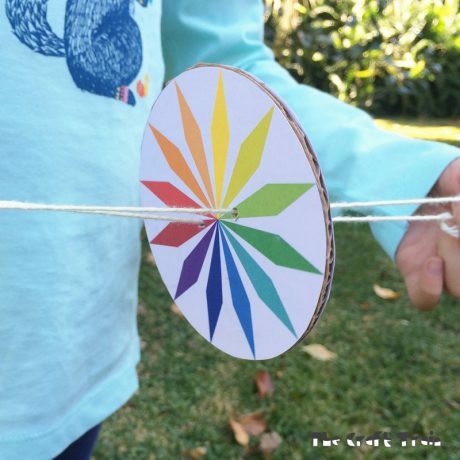 Pop the roll back into a rounded shape. 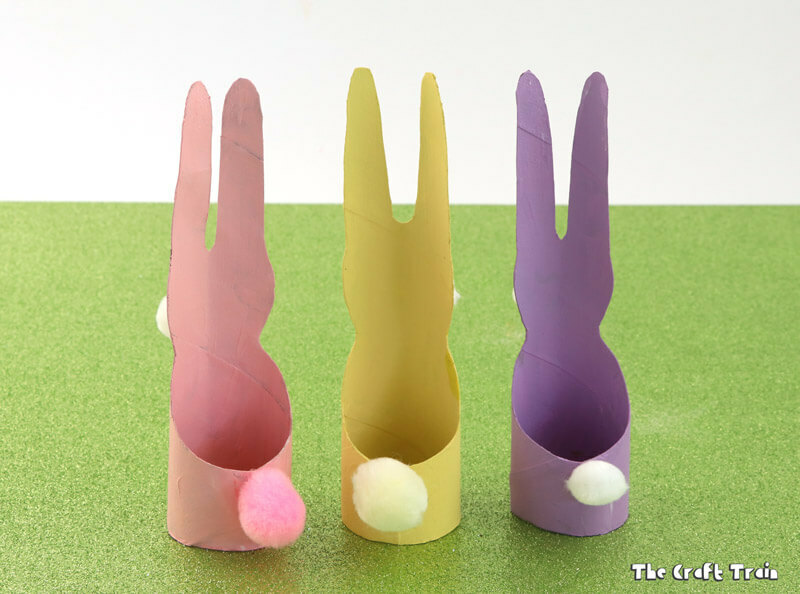 Paint the bunny in your chosen colour and allow to dry. Glue two pom poms on for cheeks with a mini pom pom nose on top. Glue the eyes above the cheeks. 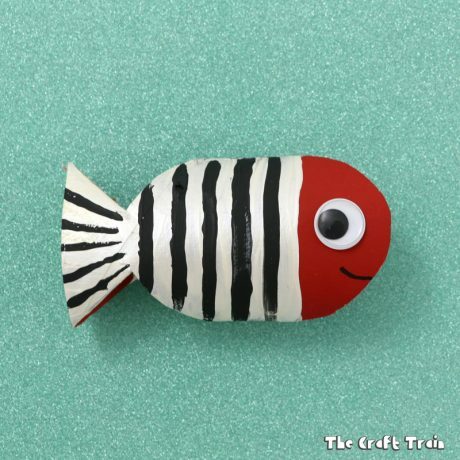 Glue on the pom pom tail. 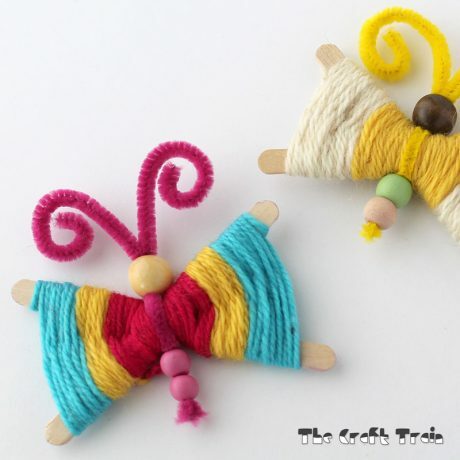 Cut out a small round tummy shape and two long oval shapes for the ears from the felt and glue them on. They’re off to go and deliver some eggs! 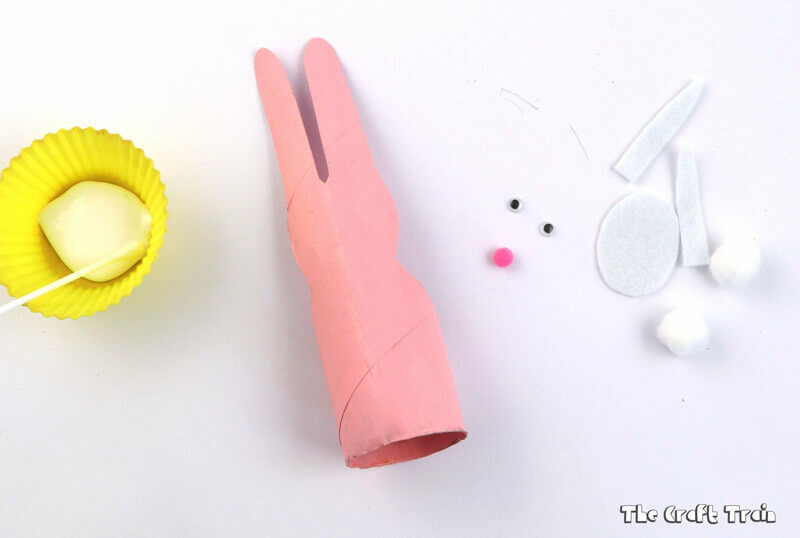 Check out our Easter board on Pinterest for lots more inspiration. After a couple tries I got what I wanted. 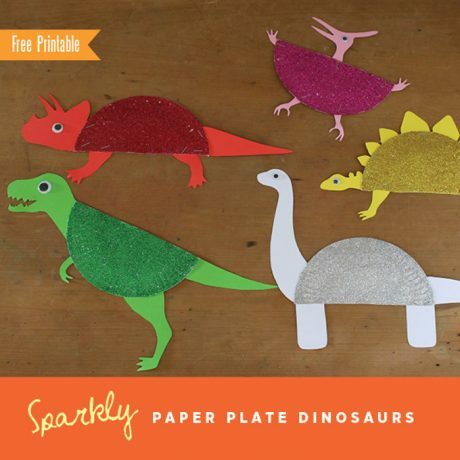 I copied (by hand, couldn’t get my printer to work) on to a paper plate they are so cute! Thanks so much!